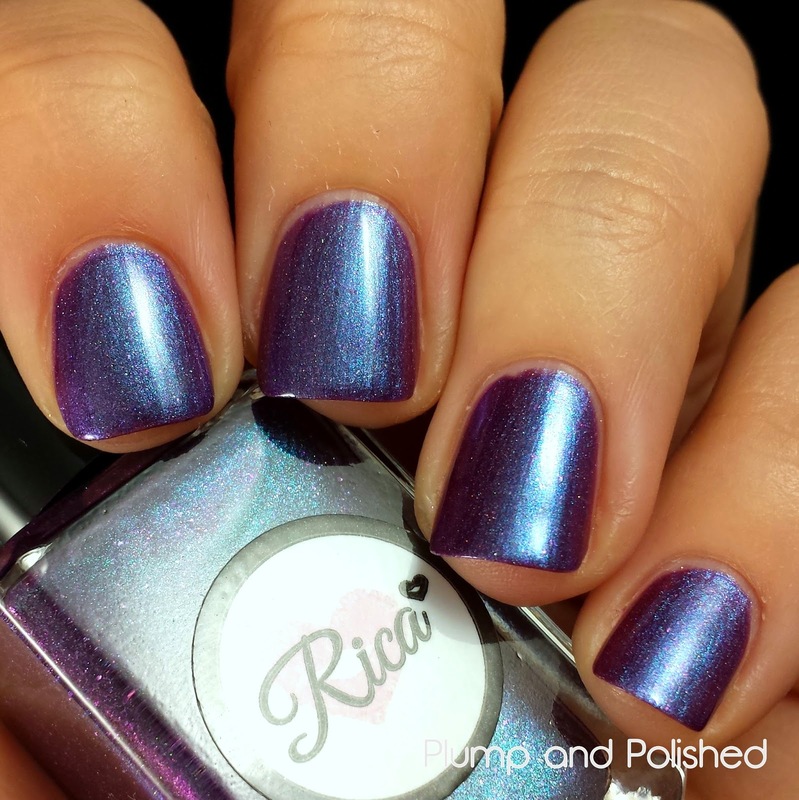 Are you ready for some holographic goodness? 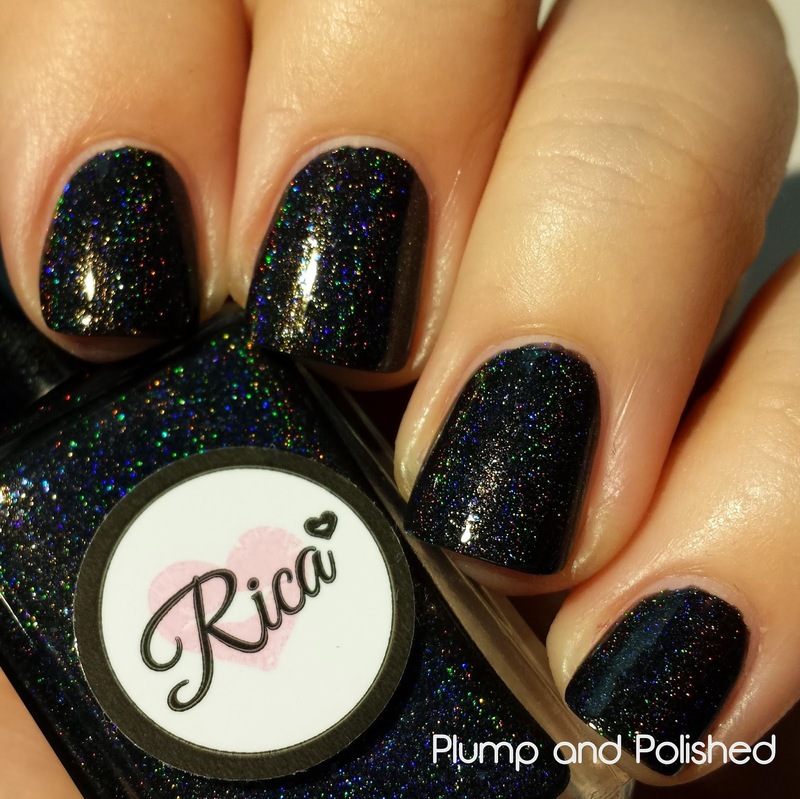 Rica has been killing it lately with collection after collection of beautiful polish. This one is no different. Today's all about the Royal Ladies. Keep on reading for a full review and lots of pictures! 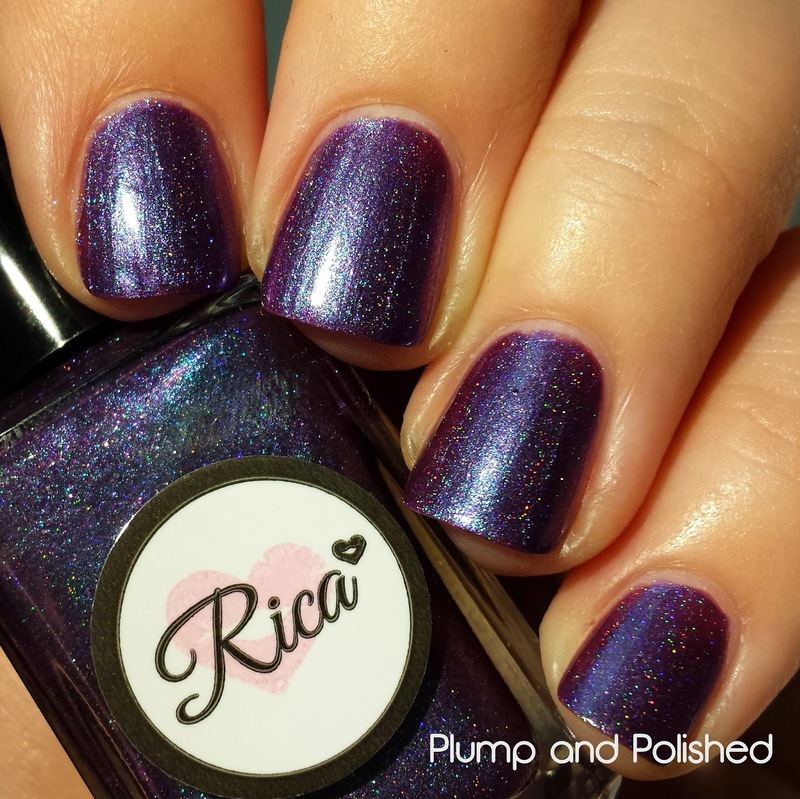 The last picture of each polish is in LED light to really show off the holographic effect. Don't miss out! 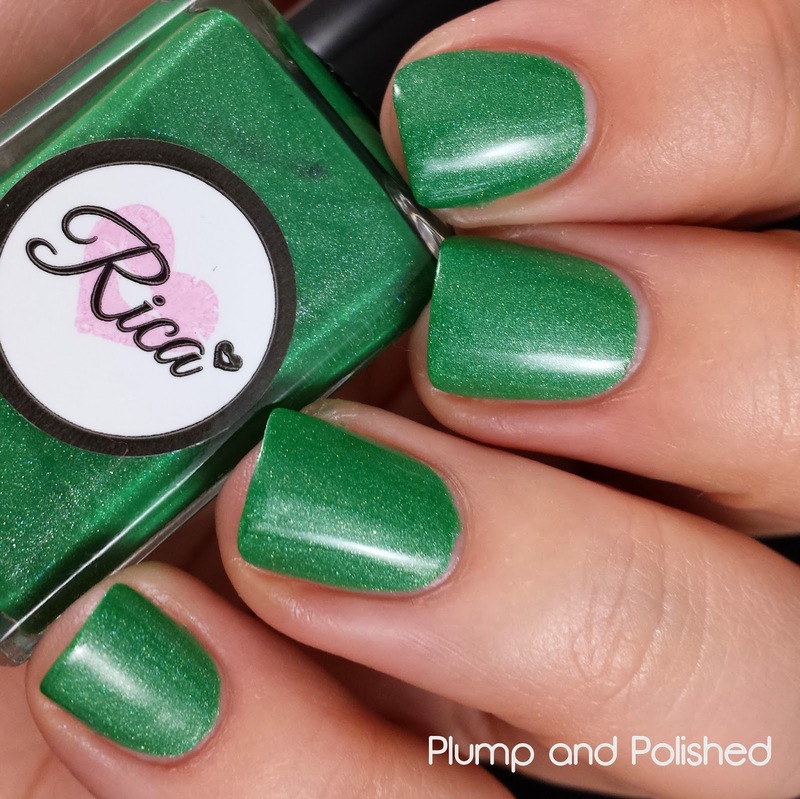 This polish has a great creamy formula. I used two coats with no issues. It dries a bit matte so I suggest a coat of Glossy Glam to finish it off. This is the perfect shade of green. It's not too bright or too dark. It's just perf. 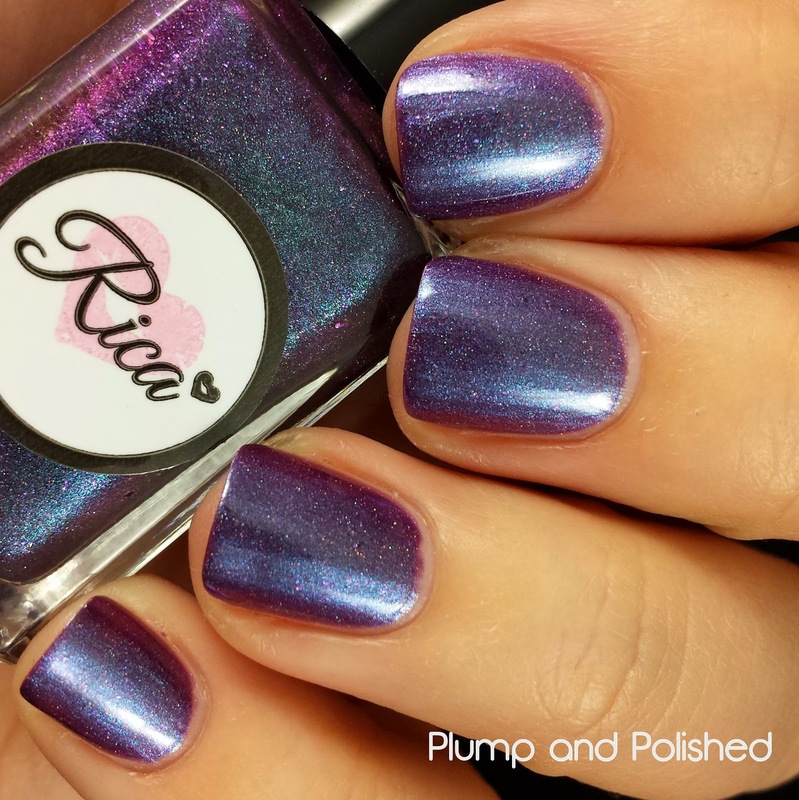 The holo shimmer is really nice, too. Two easy coats with no issues. Again, it dries a bit matte so I suggest topping it off with Glossy Glam. 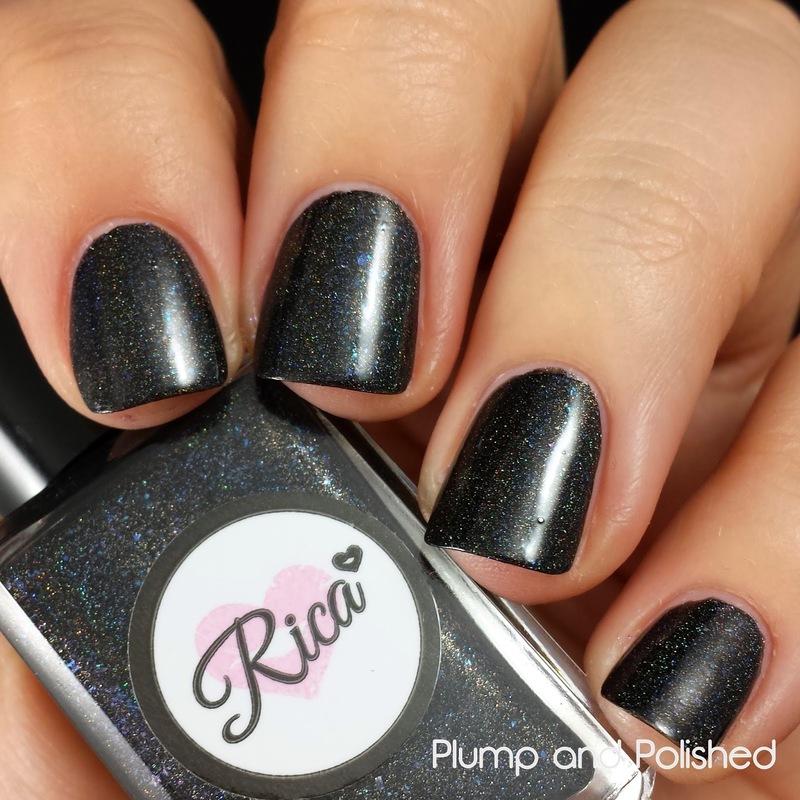 This isn't your typical black holo polish. The blue microflakies are stunning. Depending on the light, they'll change to purple! 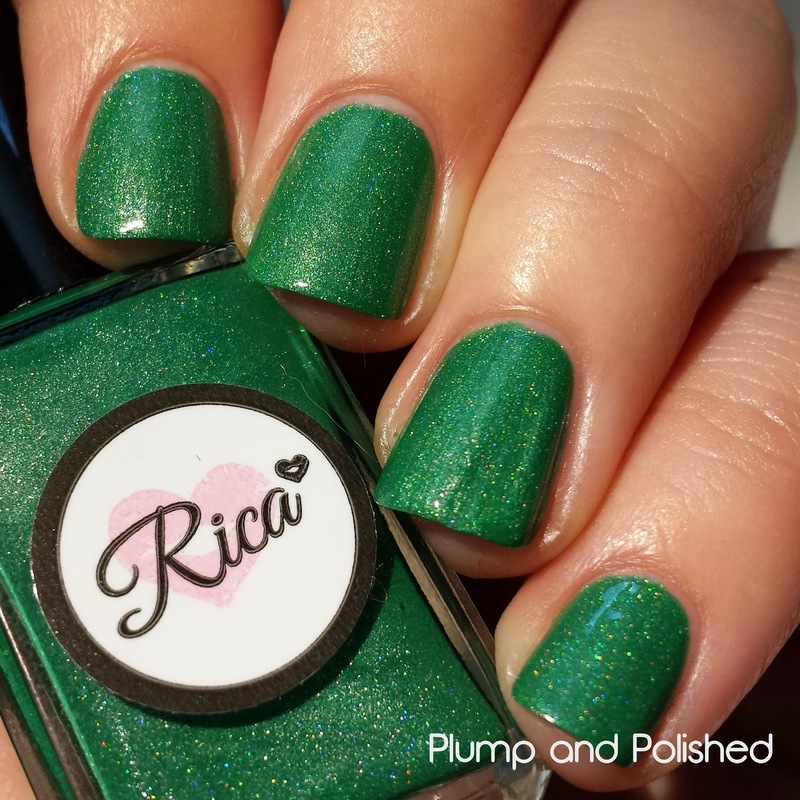 This polish is like a chameleon. It looks different every time I look at it. The duochrome shift, the holo, and the microflakies make this impossible to capture correctly! If you take your time, you could use just two coats of this. I didn't let the first coat dry enough and ended up with pulling and bald spots after my second coat. I used a third coat to even it out. Glossy Glam was the perfect finish. Wow! 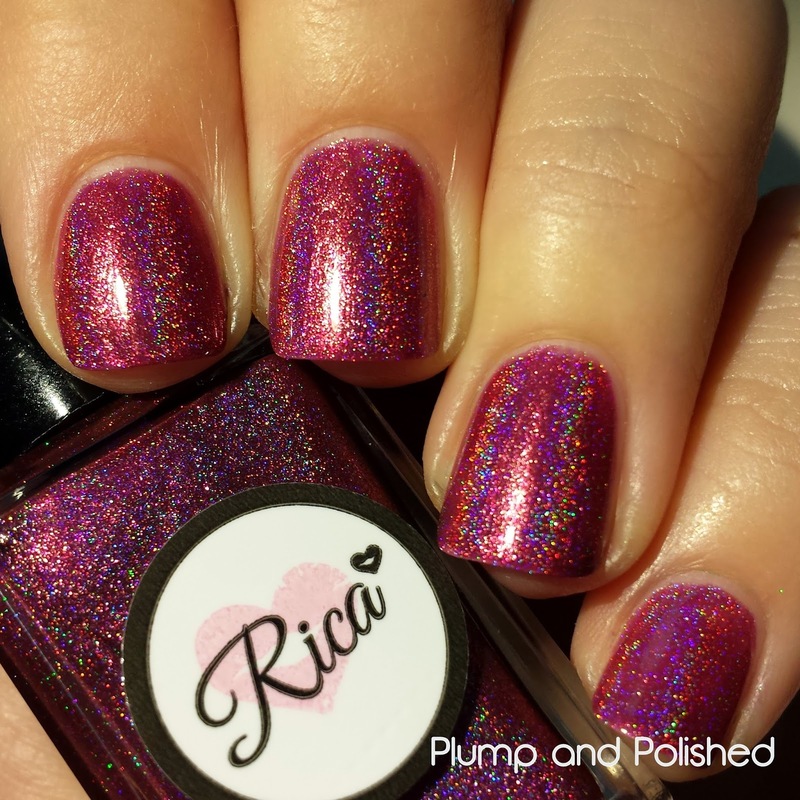 The holo in this is insane. It's the most intense of the group. It's actually my favorite and I think it's great for fall. It's really rich! This has a great build-able formula. 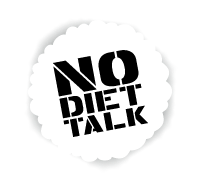 I used three coats for full opacity. You'll definitely want to top it off with Glossy Glam to smooth over the gold hexes. 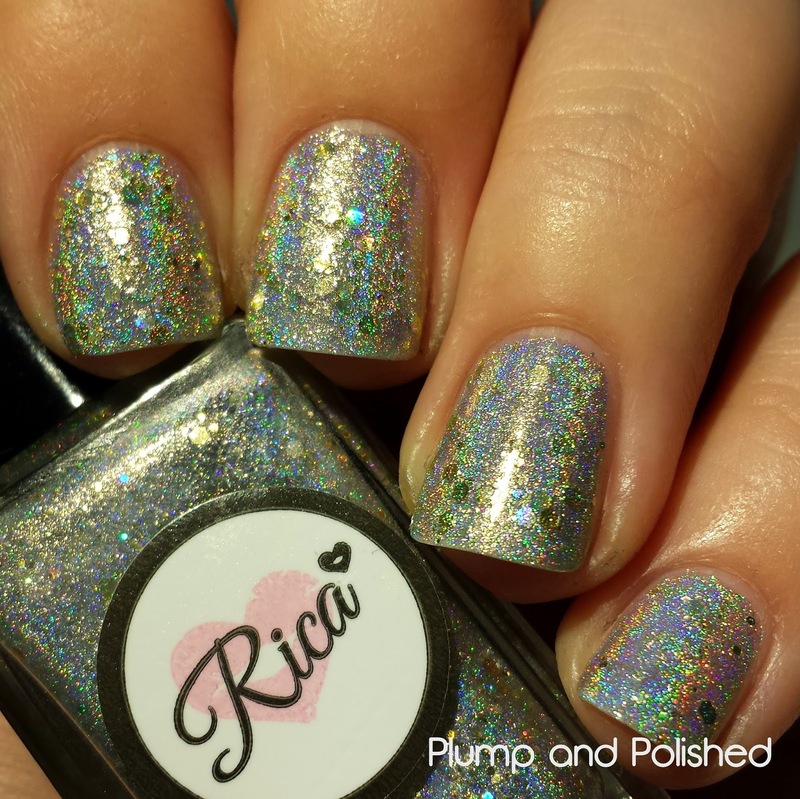 Crazy intense holo! 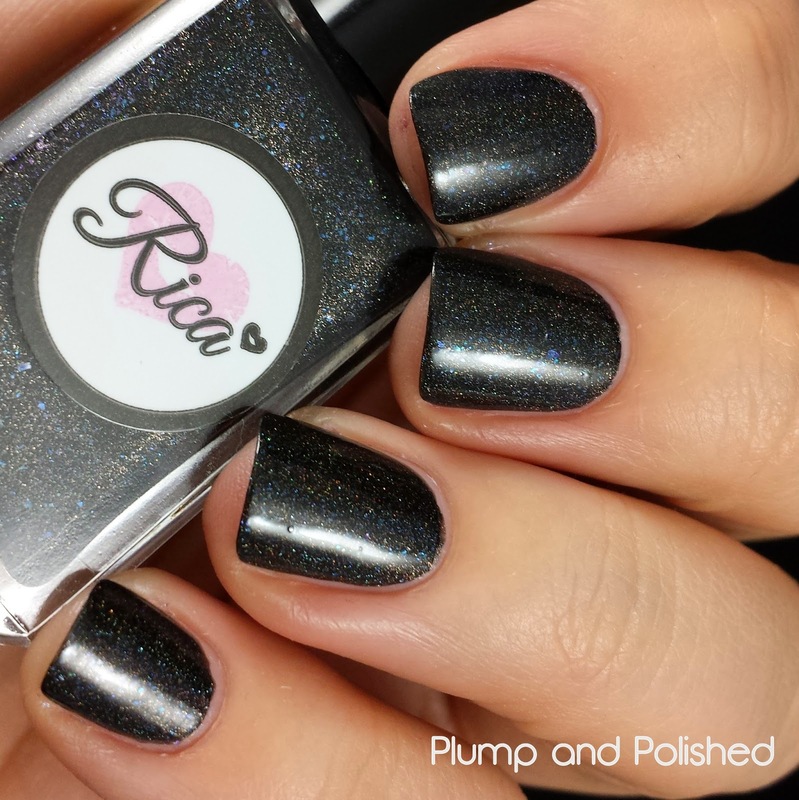 This polish is great on its own, but you can use a single coat over any base you'd like. It's super versatile! 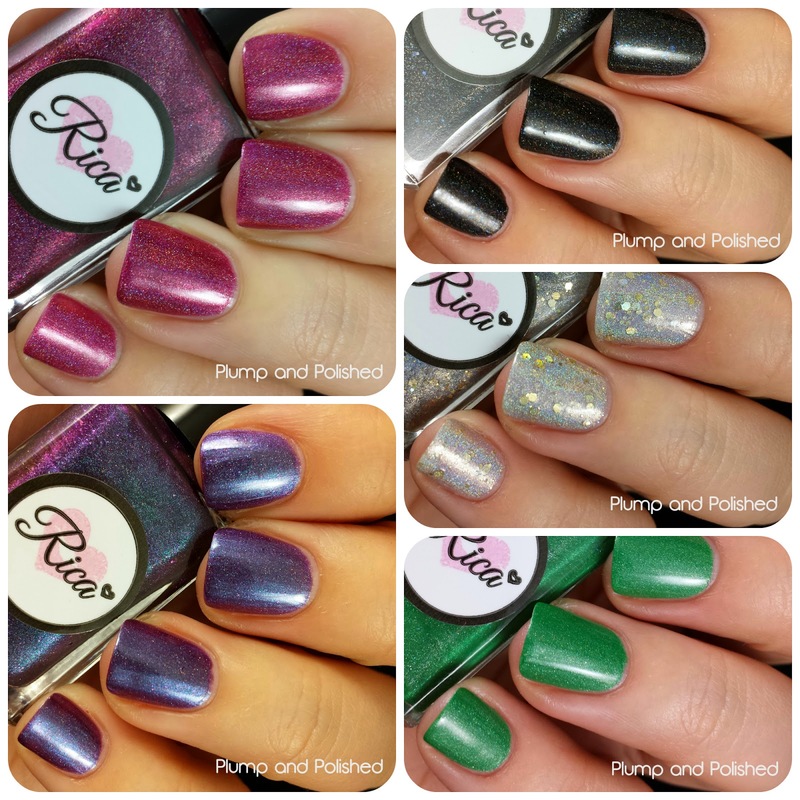 The Royal Ladies collection is currently available through Etsy. I was checkin out the rica etsy page last nite. i kinda want them all ! You kinda need them all!